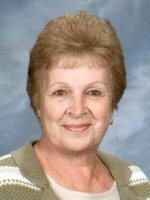 ALBANY – Clarissa Ann Hart Gallup, 72, of Albany, died Friday, March 23, 2012 at St. Peter’s Hospital. Clarissa was born in Albany, the daughter of the late Charles E. and Mary E. Yakel Hart. She was a lifelong resident of Albany, and a 1957 graduate of Vincentian Institute. She was employed by the New York State Depts of Tax and Finance, and Transportation prior to taking time to raise her children. She later was employed by the Albany City School District at Academy Park. Clarissa was a communicant of the former St. James Church where she was a member of the Rosary Society and was active in cub scouts and boy scouts. More recently she was a communicant of All Saints Catholic Church and the former St. Margaret Mary’s Church and a member of the church senior citizens group. Clarissa was a devoted mother and grandmother. She loved time spent with her children and grandchildren, including time spent with family in Florida where she and her husband Bill visited each winter for fifteen years. She also was well known and loved for her kindness to others. At each family holiday gathering she was always sure to include people who had no other family to be with at the holidays. Clarissa is survived by her beloved husband William S. Gallup; her children William C. Gallup (Ann) of Niskayuna, Patricia M. Lindman (Dr. Harry) of Lake George, Stephen J. Gallup of Albany, and Lori A. Gallup, PhD of Bel Air, MD; her sisters Lita Snyder of Albany, Mary Swain of Westerlo, Alicia Lawson (Edwin) of Westerlo; her sister in law Donna Briscoli (Carlo) of Albany; her grandchildren Andrew and Benjamin Gallup, Harrison and Victoria Lindman, and Grace Clarissa Gallup-Marshall; and by many nieces and nephews. The Gallup family would like to thank the staff, doctors, nurses, and chaplains of St. Peter’s Hospital for the wonderful care they provided to Clarissa and the family. Funeral services will be held in the Hans Funeral Home, 1088 Western Ave., Albany, Wednesday morning at 8:15, and from there to All Saints Catholic Church, Homestead St., Albany at 9:00. Relatives and friends are invited, and may call at the funeral home Tuesday from 4-8 p.m. Interment will be in the Gerald B. H. Solomon Saratoga National Cemetery in Schuylerville. The family suggests memorial contributions to The Children’s Hospital at Albany Medical Center, 43 New Scotland Avenue, Albany, NY 12208; or to St Peter’s Hospital Foundation, 319 S Manning Blvd # 114, Albany, NY 12208. To leave a message of condolence for the family, send a sympathy card, or obtain directions to the funeral home, please visit www.HansFuneralHome.com. So sorry… We loved talking to your mother at all of Andrew and Ben’s birthday parties! She was such a nice person. Lori, please accept my sincerest sympathies regarding the loss of your mother. It sounds like she was a wonderful woman,and I know how much you loved her. Please know that you, your mother, and your family are in our thoughts and prayers at this difficult time. Cousin Rissie had the kindest of hearts, sensitive and caring. I have many happy memories of Rissie that began in childhood when we would visit the house and enjoy kids play while the grown ups spent their time together. Rissie always had a smile, the same one she had all her life, and made us feel at home with her. A wonderful woman who left a loving impression on our family and her friends. Love and prayers to Bill, Billie, Patty, Stephen, Lori and their families. Please accept our sincere and heartfelt condolences on the death of your wife and mother. She was a lovely woman and will be missed. We will continue to keep her – and your family – in our thoughts and prayers. Your mom was so very special! Her spirit will continue to shine through her children and grandchildren. Our thoughts and prayers are with you. We were so shocked and saddened to hear of the loss of your mom/grandmother. She was such a nice lady and we always enjoyed her conversation when we were at your family events. She adored her family. She….and your family…. will be in our thoughts and prayers. Steve, we know how much your mother means to you and how your heart must be aching. May the times that she was there for you, and you for her, live on in your memory. She will always be with you.